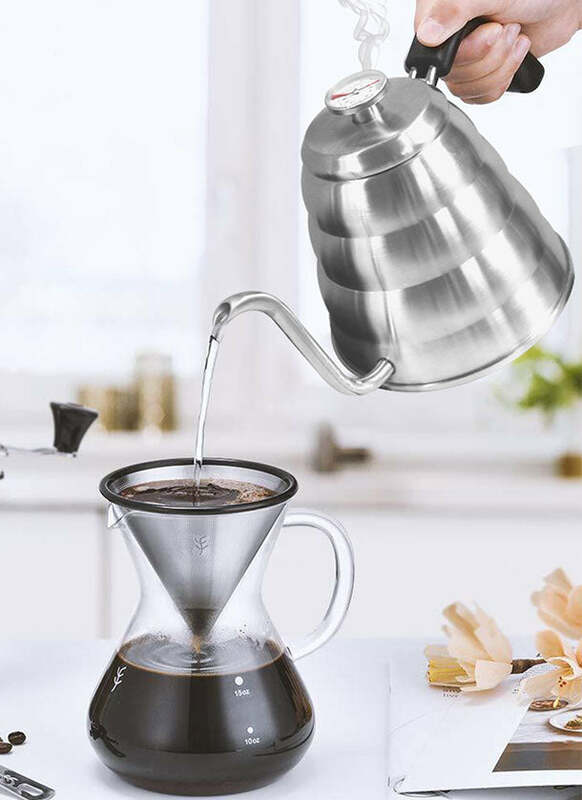 Gooseneck kettle can control speed and direction of water flow more effectively, the water flow of gooseneck pot is fine and stable.Combine Kalita Wave, Bee House, Chemex, Hario V60, Nel Drip... you can have more fun with a gooseneck coffee kettle and make a great cup of coffee. 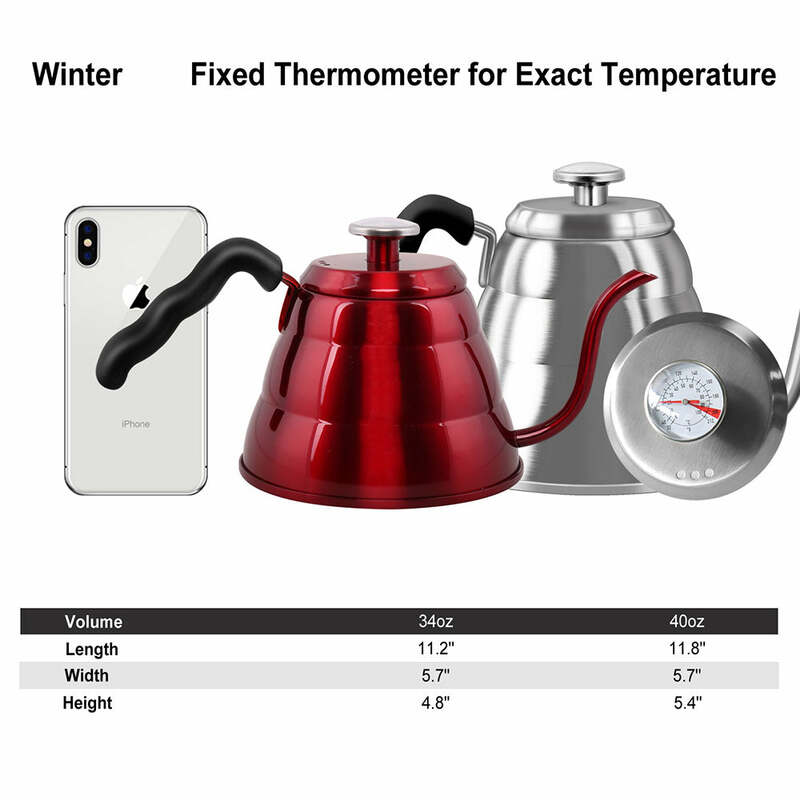 Our gooseneck kettle comes with a highly precise thermometer for perfect temperature control which allows you to brew your coffee at the optimal temperature every time with ease. 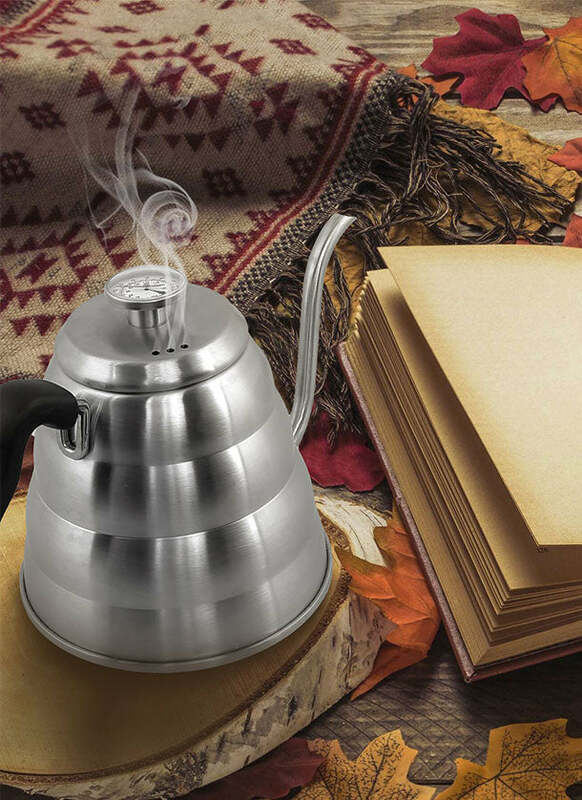 Food grade stainless steel gooseneck kettle, no need to worry about rust or the safety of your pours. 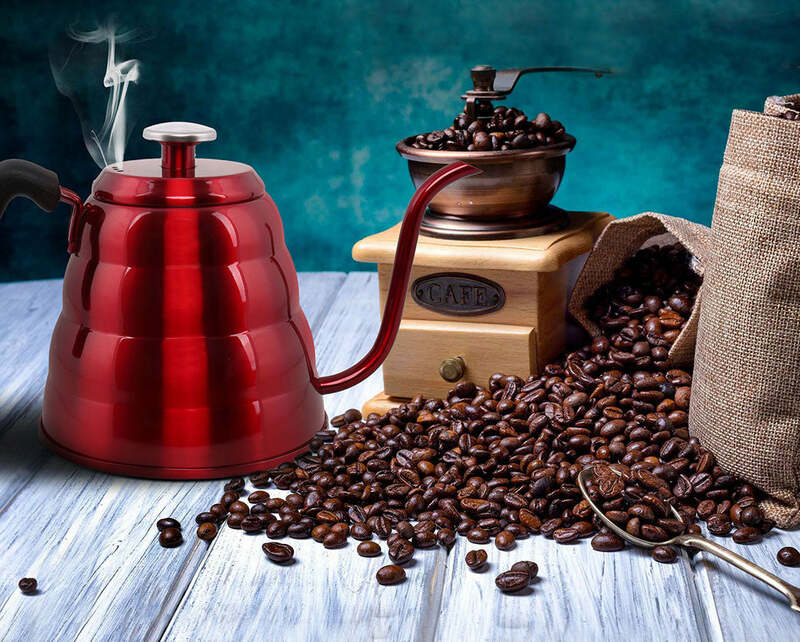 Zero plastic components and BPA free, your coffee will never touches plastic.Ergonomic handle and gooseneck spout are the hallmarks of contemporary handmade brew coffee. 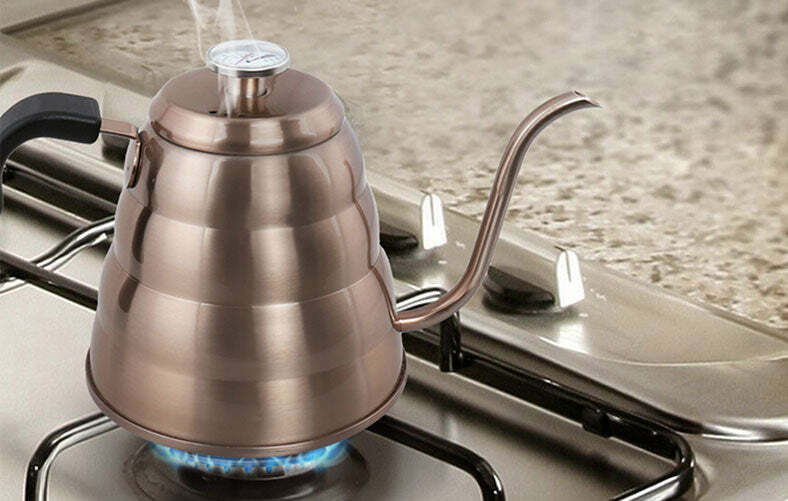 The drip kettle works perfectly on all stove tops, including gas, electric, induction, halogen and radiant stovetops. 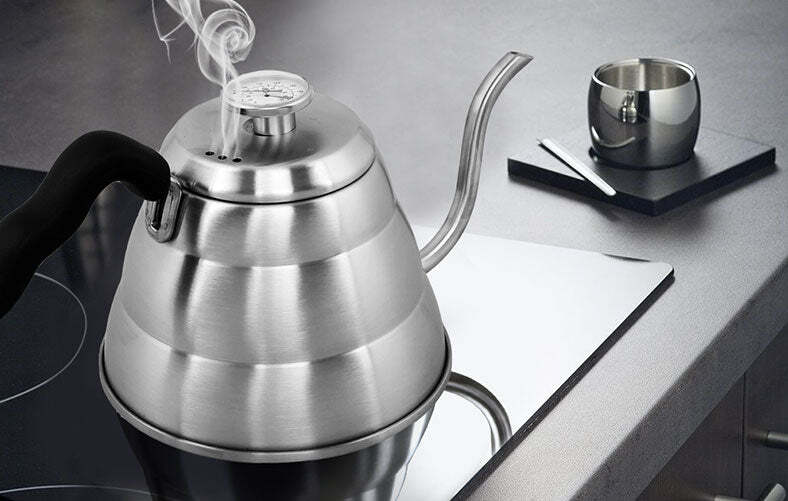 Our kettle is also dishwater safe, making it easy to maintain and clean. Perfect gift for coffee lovers and baristas. 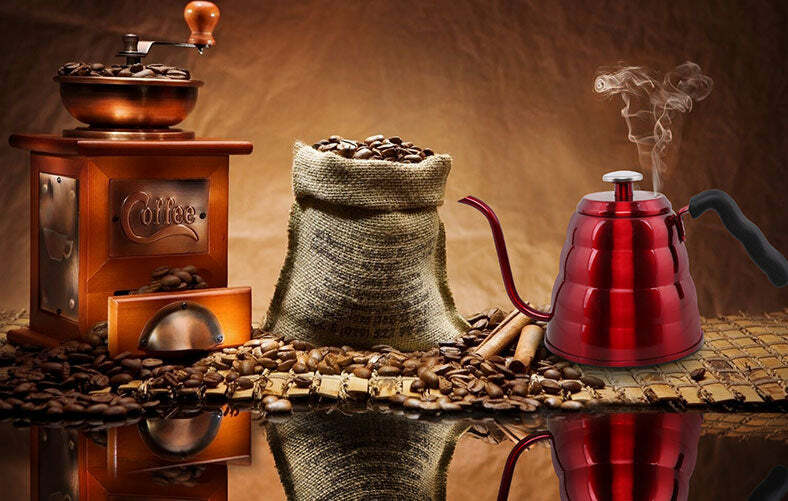 We provide premium barista-quality coffee brewing tools for the home baristas. If you are not 100% satisfied with your drip kettle, you are free to return it, within the first year, and receive a full refund. 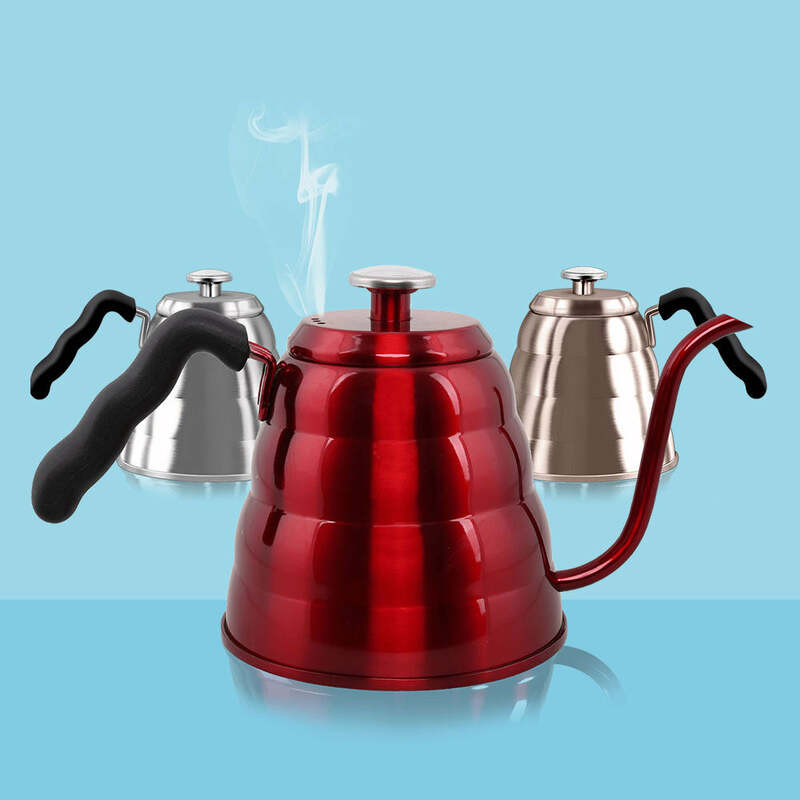 Easy-to-read built-in thermometer displays ideal brewing temperature. Crafted from high quality food grade stainless steel inside and out. 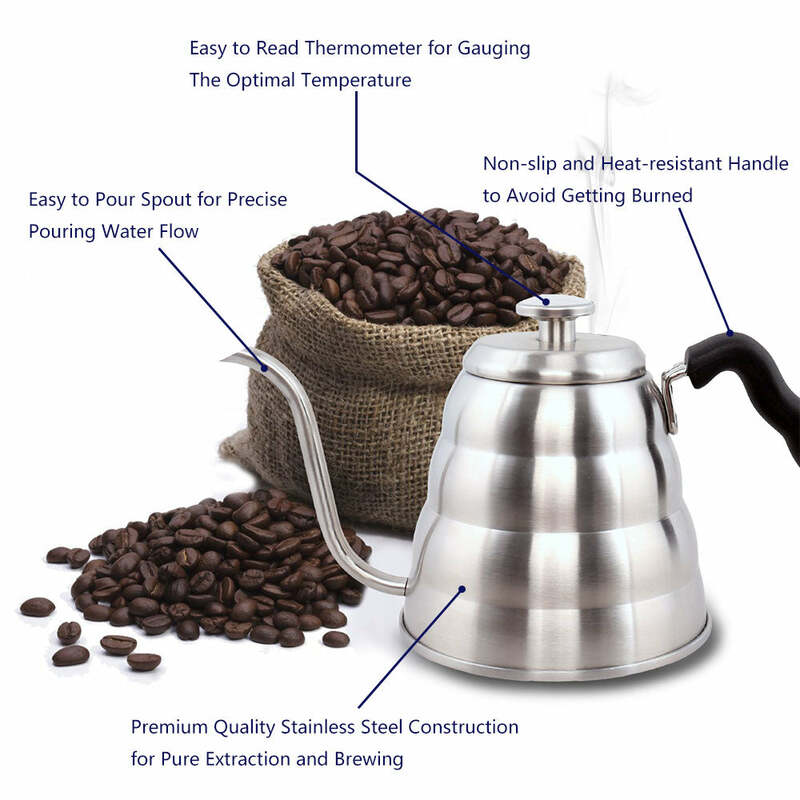 Slender spout for slow, steady and controlled pouring when brewing coffee.